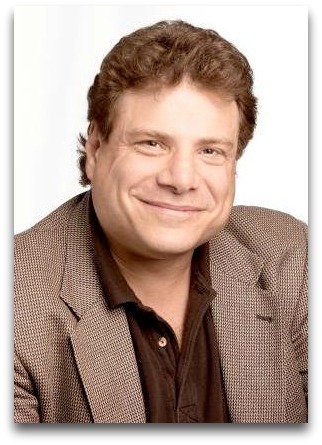 Longtime Westporter Larry Perlstein wrote today’s “06880” post. As he explains below, he’s not doing this only for work. He hopes to shine a light on a side of Westport that’s seldom talked about. And he’s happy to help others facing similar situations. This is not a plea for financial help – my family and I are doing fine (for the moment). This is not a political statement – I’m fiscally conservative, socially liberal (whatever that makes me these days). I’m not whining – I’m simply trying to expose a rarely discussed segment of our community. This treatise is not EEO correct. I’ll tell you my age/race/situation simply to help you understand who I am. I’m not easily categorized (i.e., CIO, CTO, etc. ), hence part of the difficulty finding a new role. These are different times, and so we must use different strategies to make our situation known. “I have more to give,” and so do the many other talented yet unemployed professionals in Westport. Hello, my name is Larry and I’m a 54-year-old white male who has been unemployed for nearly 15 months since being laid off from my last position. My personal situation is likely a bit different from most people my age who are looking towards retirement and have children heading off to college. My wife and I have an amazing 4 ½-year-old daughter (our only child). I’ve had a great career thus far, and worked for some well-respected companies. Most recently 15 years for Gartner, based in Stamford – the largest information technology advisory and research firm in the world. Previously I held a variety of roles at IBM, GE and PepsiCo in Connecticut, New York and California. My background is primarily software technology (that is, all the things that programmers and application users care about) – a constantly changing field that requires regular reinvention, with a bunch of marketing mixed in. I’ve held roles that run from programmer to business analyst, marketing program manager, industry research analyst, vice president and research team manager to, most recently, group vice president and ombudsman (think New York Times public editor). I am a Staples grad (1975). I have an undergraduate degree in marketing and an MBA in information systems, both from Pace University. We are not wealthy by Westport standards, but we’re not complaining either. Simply, I’m looking for a role that takes advantage of my skills/talents sweet spot: I’m great at taking a chaotic, stressful situation and driving it towards a successful result. It could be a project gone awry, extreme interpersonal relationships interfering with business processes, difficult technology strategy and evaluation decisions, dissatisfied customers, or even litigious business partners. 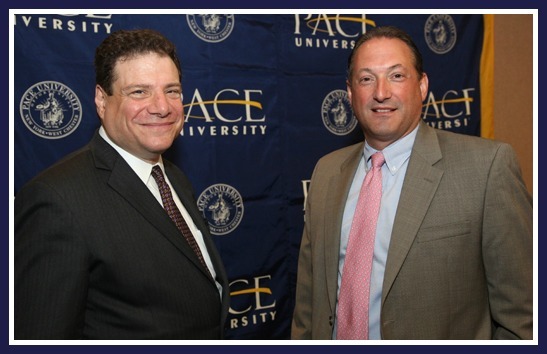 Larry Perlstein (left) and his co-chair at the Pace University Seidenberg School for Computer Science and Information Systems Leadership and Service in Technology Award reception. It raised over $125,000 for scholarships. Sure, you can call me a project manager, client partner executive, program manager or service delivery executive, but these titles are one-dimensional and don’t express my full range of talents. It’s sometimes easier to express what I am not: a slap-on-the-back salesperson (I’m a long term relationship builder), a uni-tasker (I do my best work when managing multiple activities), simply a manager or an individual contributor (I’ve been both), or out of touch (I’ve spent the past 15 months consulting on social media and marketing communications issues, working with non-profits pro bono, and writing freelance industry research). If you know of a role (or even simply a problem) in your company that might be served by my skill set, or if you have a friend who might know of something, please contact me (lperlste@yahoo.com). And if you’re one of the many others in town also looking for their next gig, stay positive and let me know so I can make my network available to you. This entry was posted in Economy, People, Staples HS, technology and tagged Gartner, Larry Perlstein. Bookmark the permalink. Nicely written Larry, and best of luck. I just sent a Linked In invitation to your inbox. Larry–please email me at bcs44@optonline.net. You might be too high level for us–but we do have an opening and would be glad to talk. It’s easy to forget how many are struggling in Westport, since a portion of the residents have actually become wealthier (or felt no ill effects) since the recession. Lets all understand the situation in CT will be much worse then ther est of the nation. Our unemployment just hit 9%. The governor raised income taxes on everyone, inlcuding the middle class. He removed so much money from the CT economy, we will feel the effect for months if not years. In addtion, he kept the same pension pliocies in palce–we now owe $60 BILLION–yes BILLIONS. With no end in sight. Costs to do business in CT is increasing, unemployment rising, and we have a governor who seems totally out of touch with reality. With westport taxes going up, and the fear of the fiscal cliff–or worse, it happening, CT will be one of the worst states for employment in the nation. If you really care–and it seems some of you do, then understand the real situation and use your vote. Jim carville said it years ago–it is the economy stupid. We need to chnage the party in office in CT and immediately. or sit back and watch the horror. True. But many of my closest Westport friends have actually profited off the recession. The state as a whole is a mess. Pockets of Westport are, as well. My point was that it is easy to forget that since Westport (and most of Weston) is this strange financial bubble. With the avalanche of tax rate increases about to hit; the bubble will burst. Please take a look at: http://www.bloomberg.com/careers/ and if there’s anything that interests you (this is a pretty diverse company and I only work in one small corner of it) I’d be happy to do everything I can to help you through the process. I’m easy to find on LinkedIn. Best of luck, I’ve been there. Larry, best of luck in this. I can appreciate what you’re going through because my dad was laid off in the 1970s at the age of 51 by the company he had worked at for many years (after it was taken over by a corporation based in Canada). He worked in sales in the textiles business and was the sole source of income in our household. The good news is my dad ended up setting up his own business and actually did better financially on his own than he had done as an employee at his prior company. So, while I know it’s not easy, it’s possible that everything might work out for the best in the end. Thanks Fred, that’s pretty much where I’m heading but I thought it worth giving this approach a shot as a “regular” job would offer me more immediate financial security. Although I have not been adversely affected by age discrimination (yet), I have been unemployed for 12 years (and have long since stopped looking for a job) because I am a bipolar “mental patient” and do not interview well for obvious reasons. I will now lie down and await possible insults from the ignorant crowd. The point is, I’d hire you the spot for your sincerity, assuming the background you claim is true. Not doubting it, just rambling now.